If you suffer from dental fears, don’t' let that cause you to suffer from tooth decay and gum disease as well - or even potential heart disease that may be linked to poor dental hygiene. Sedation dentistry with Dr. Douglas Decker, Dr. Terry McClanahan may be the answer for many people who struggle with dental phobia. Modern sedation options can make dentistry actually relaxing! Ask us about conscious sedation to help relieve the stress of some cosmetic dentistry procedures. We also provide dental implants, cosmetic dentistry and wisdom teeth. Our friendly staff is very familiar with common dental phobia. At Doctors Decker and McClanahan, we provide caring, understanding service tailored to your safety and comfort. Whether you need to address a complex dental problem or just need a simple routine dental checkup, we have lots of experience in calming fears and anxieties associated with dental procedures. Call us today at (619) 543-1588 for Kearny Mesa area sedation dentistry and a healthy, more beautiful smile tomorrow. Or fill out the online form for easy scheduling. At Doctors Decker and McClanahan, we have several convenient payment options and flexible scheduling to fit your busy life. If you're looking for affordable sedation dentistry in Tierrasanta you don't need to look any further. Douglas Decker, D.D.S., is the sedation dentist that Tierrasanta residents trust to deliver experienced and professional dental care. Mouthwash can not only freshen your breath, but kill germs and bacteria that lead to cavities. Try to select a formula with fluoride. Many contain alcohol, which dries up the protective saliva in your mouth, so it's best avoided. While mouthwash a wonderful dental product, however, please remember that it cannot replace regular flossing and brushing. 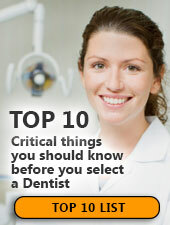 Remember, your dental health is our first concern at Doctors Decker and McClanahan. Please do not hesitate to call our office at (844) 535-1190 with your dental care questions, or to schedule a check-up! At Doctors Decker and McClanahan we recommend that you rinse your mouth with water after consuming any of these stain causing food, or use a straw to sip sodas and iced tea. Please call us at (844) 535-1190 if you have any questions about foods and your dental health. Call Doctors Decker and McClanahan today at (844) 535-1190 to schedule an appointment.